It was after graduating from RISD in 1992 that Fairey began toeing the line between his art practice and entrepreneurship. 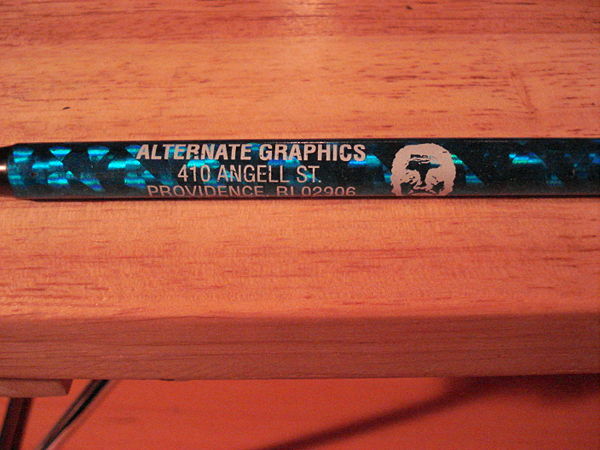 He began a screenprinting business in Rhode Island called Alternate Graphics. He made T-shirts, skateboards, stickers, and posters that he sold through black and white catalogs that he hand-distributed. Not only would this help fund his street-art provocations, but it would lead him to begin screen-printing his designs onto shirts on a much larger scale, and develop a business acumen that would pay off as his work grew in notoriety and demand. The company lasted until Fairey moved to San Diego to pursue other business ventures.